High altitude, 8000-meter, mountain guide, Ryan Waters, is on his way back to the ice fields. 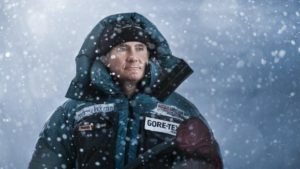 He will be guiding a group on the Fuchs-Messner route from the Ronne-Filchner Ice Shelf, 890km (in a straight line) to the Geographic South Pole. Explorersweb/Pythom: You have done the unassisted unsupported traverse on Antarctica, three lessons that you have learned that you want your team to know on the ice. – Remember to relish each day in Antarctica even when it is harsh to you, because it is such a magical place to be. What was your hardest expedition, and why? 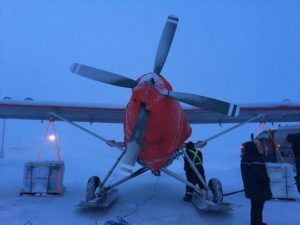 Ryan: Easily the Full Length Unassisted Unsupported North Pole expedition with Eric Larsen. The environment, conditions and stress that the entire experience put on us was huge. Shrinking time, bad ice and open water, and the additional challenges of filming the expedition by ourselves was pretty darn tough. This trip will have its own challenges because I am guiding it for Mountain Professionals, so it is not only myself and a partner, but we are in charge of all the details for our team, so there are other pressures and planning elements to prepare everyone to the same mindset, when we are all in 3 different countries before the trip. As a leader/guide, what does it take to put an expedition together? On Antarctica, ALE (and ALCI for that matter) has a lot of logistics in place, but you still have to organize a lot. And also for your mountain expeditions. Ryan: Yes, ALE does a really great job of having very dialed logistics in place for the Antarctica expeditions, but yes, there is a lot of planning, preparation, packing, and discussions with our team of clients that must happen, and in some cases training. 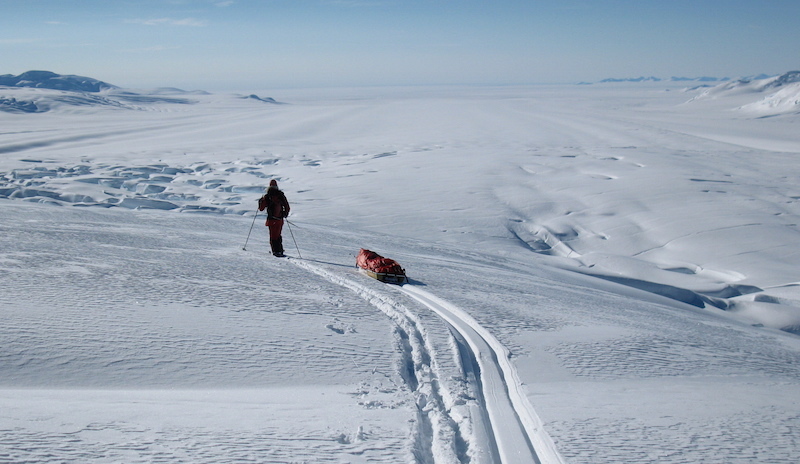 It is a long process to get people ready for a full South Pole ski trip, but one we enjoy and we think we are a great resource for South Pole ski expeditions from our past experience. There are a thousand details to think through for one of these kinds of trips, so what I like to do is tackle a bit of the to-do list day by day, well in advance, to get things ready. For mountain trips there is a lot of planning too, but in most locations, we have the programs so dialed now that all of our gear and things are in place. We do have a fairly big Vinson group this year so that kind of trip takes a bit more planning simply because of the Antarctica logistics. Things are pretty streamlined now, and we feel we offer a great option for both climbing and polar ski trips in one “in house guide service” that does not have to outsource polar ski guides like other climbing companies. We have a lot of history on the Polar Ice and all the Seven Summits. Last year you and Eric Larsen climbed a new route in the Himalaya. How do you plan a new route? Ryan: Well, it is ironic to think about this now, because we just talked the other day about revisiting the new route idea in Nepal again. It is a bit of an evolving plan but we are thinking of next autumn doing a little mountain bike into a region with a lot of unclimbed peaks type trip. 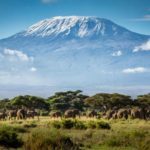 Essentially, it takes good contacts in the country, experience planning trips, and the desire to put in effort to make a difficult trip happen. When we climbed a new peak in the Rolwaling, we had porters and Sherpa help to an area close to where we wanted to base camp, but had to do load carries ourselves and put in a bunch of time and effort to make it a successful climb. What keep you going when conditions get tough? How do you handle fear? Ryan: I think that you are either going on one of these types of journeys to be successful, or you are hesitant and have doubts. If you have the confidence that you will be successful no matter what it throws at you, then you can push through anything, when the times get rough. Experience and past expedition judgement go a long way to being successful in the polar regions. In a lot of ways I think I have more of a respect for the things you should be fearful of, meaning, I don’t travel and have fear from these things or you are paralyzing your mind and not working efficiently. Instead, have respect for the place and environment, and be very prepared with all the details. With your previous South Pole expedition, the traverse, what was most unexpected? Ryan: How hard the mental aspect of 70 days of skiing was. I ran through the same topics over and over just to pass the time. The first two weeks were the hardest, and an unexpected hard part was getting close to the South Pole but with no real short term goals to look forward to, only that we had many days still to get there, which was just our halfway point on that crossing trip. You are an accomplished high altitude (8000m) mountaineer. Previously you have told us that mountaineering is much different from Polar expeditions, but what mountaineering experience are valuable on the Poles? 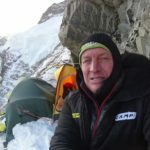 Ryan: Outside of the obvious things such as some of the weather and clothing aspects that translate, I think that the worst nights or times on big mountains, like epic storm nights at high camps or the times when you are having to fix a stove in the vestibule when it is minus 20 at 24,000 feet is what helps… basically being good at suffering. But then again most days on a ski trip like Antarctica are pretty cool and pleasant so having hard days in the mountains just makes you more prepared to deal with things when they go bad on the Poles. What is your dream expedition? Ryan: We look forward to working with our Mountain Professionals South Pole Full Ski team this year! This 2016-17 Antarctica season, Ryan Waters (US) will be guiding Katrina Follows (England, lives in Chamonix), Paul Adams (USA) and Scott Kress (CA), to the Geographic South Pole. They are booked on November 15th flight from Punta Arenas, Chile, to Union Glacier, Antarctica, and estimate 45 days skiing.